As 2020 prospects go a number of them delivered high caliber performances this past spring and summer that saw their status both regionally and nationally soar. One such talent whose performances were electric at times is junior Jalen Johnson of Nicolet High School in Wisconsin. Equipped with a powerful and explosive near 6-9 plus length frame, Johnson is a consensus top 5 national prospect who has firmly established himself as one of the premiere big picture talents in the country regardless of class. After a scintillating travel campaign that saw Johnson elevate up the rankings nationally, the explosive standout from Wisconsin secured invitations to the prestigious Nike Basketball Academy, the USA Basketball Trials, the NBPA Top 100 Camp, etc. Now attending Nicolet High School, Johnson has continued to build on his electric spring and summer by securing multiple blue blood offers on his crowded recruiting trail and the 2020 standout has visits lined up to Kentucky and Duke the next couple of weekends, both of whom have offered. After managing a barrage of texts, phone calls, etc. over the past few months, Johnson and his family have decided to grab a bit more control of the process by starting to narrow the list of schools down that he’s going to consider. “We have a couple of visits lined up this month and after going through things with my family this seemed like the perfect time to cut the list down a bit,” Johnson said. “I want to thank all the schools that have provided me an opportunity to continue to play at the next level. Kentucky, Duke, Wisconsin, Marquette, UCLA, Arizona, Florida, Kansas, Ohio State, Georgetown, LSU, Missouri, Minnesota, DePaul, and Kansas State are the schools that my family and I will continue to consider as we navigate through the remainder of this process,” he said adding that “The process can be a lot to deal with between the phone calls, the text messages, and the visits so this allows me and my family to focus on the schools I am considering while allowing the other schools an opportunity to spend time elsewhere pursuing other prospects that could potentially help their program." 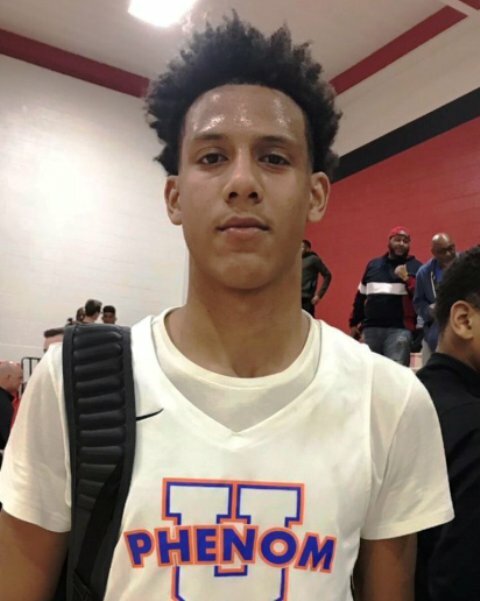 One of the premiere prospects in the country, Johnson continues to firmly establish himself as one of the very best in the 2020 class both on and off the court. With his mind on improving across the board and the schools he’s considering a bit more manageable now, the soaring junior is a blue chip talent that is focused and primed to be one of the biggest 2020 stories in the country over the next couple years. He plays with the Phenom University program during the grassroots travel season.